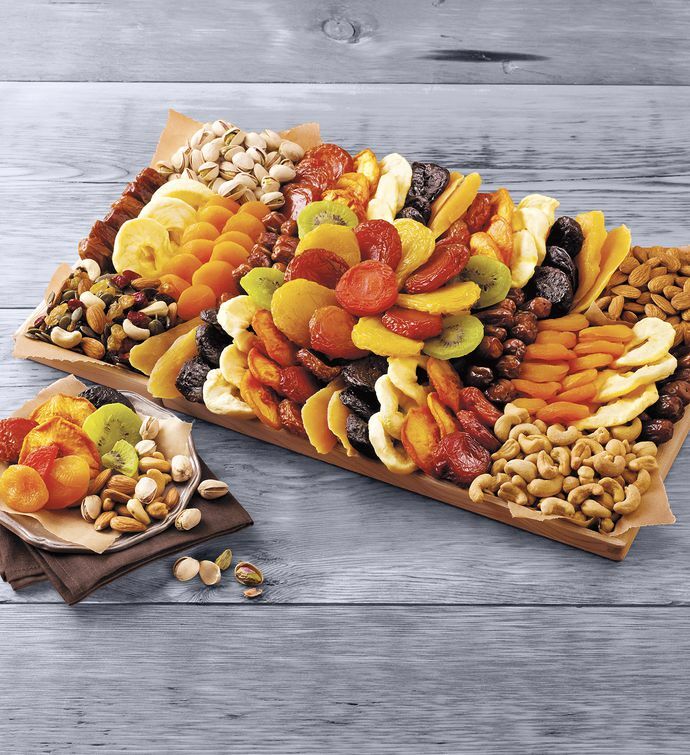 For the avid entertainer who's always running around, our Entertainer's Dried Fruit Tray is an effortless solution to offer at any type of gathering. Our largest and most impressive dried fruit and nut tray, this gift comes compete with a grand variety of gourmet snacks that everyone will love. Give guests the option to choose from delectable dried fruits like peaches, plums, mangoes, pears, kiwis, and more, along with savory nuts, like pistachios, roasted almonds, and roasted cashews.